Get your act together and try to make better music. "Congratulations" > this > "Rockstar" for sure. Production on this is quite interesting and the bridge helps tie in the rest of the song rather well. 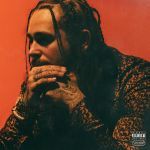 ▒ Oude, nog altijd goede, track uit december 2016 van de nu inmiddels 22 jarige Amerikaanse rapper, zanger, songschrijver, gitarist en producer: "Austin Richard Post", alias: "Post Malone" !!! Ruim voldoende ☺!!! da ist äußerst wenig musik vorhanden. Naja, eine zwei ist angebracht. I don't love this song very much actually. It could be better. Séduit dès la première écoute sans que je puisse expliquer pourquoi. I just don't find it particularly interesting. He just doesn't click for me, although Congratulations wasn't so bad.